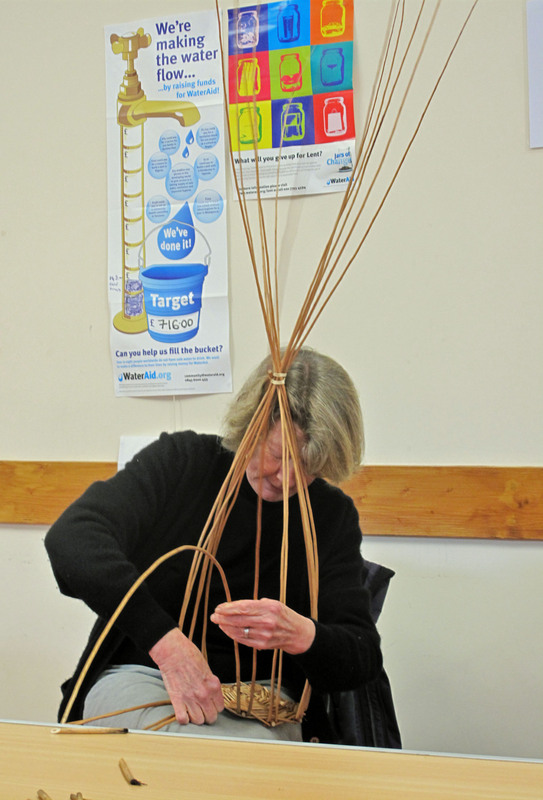 Willow Weaving! | Crowlas & Ludgvan W.I. 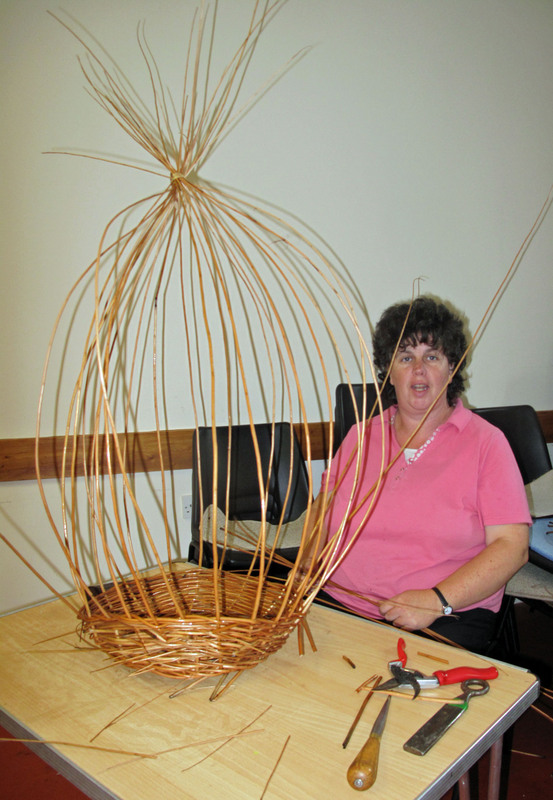 Today a group of us learned how to make our own willow baskets. 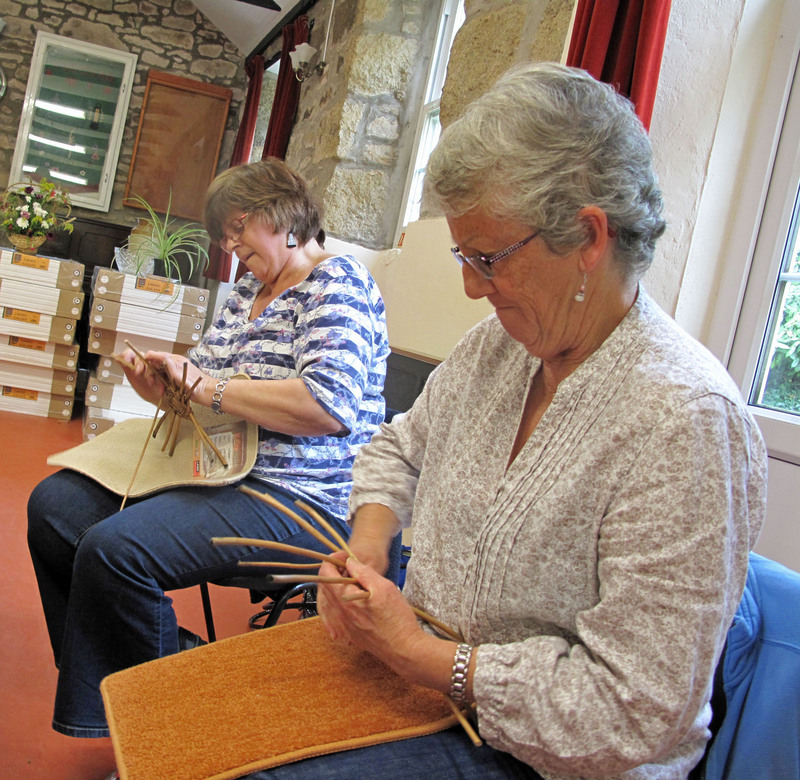 We were taught by Lin Lovekin, a Cornish basketmaker, who brought some of her beautiful baskets with her – our efforts weren’t quite as good, but we did all have a great day. Genie and Diane get started on their baskets. Susan’s technique was very impressive! Sue got off to a very quick start. Lis and Rona gave each other some pointers. In the end, we were all quite pleased with our baskets! Thanks so much to Lis for organising the workshop, as well as providing delicious cake for everyone! 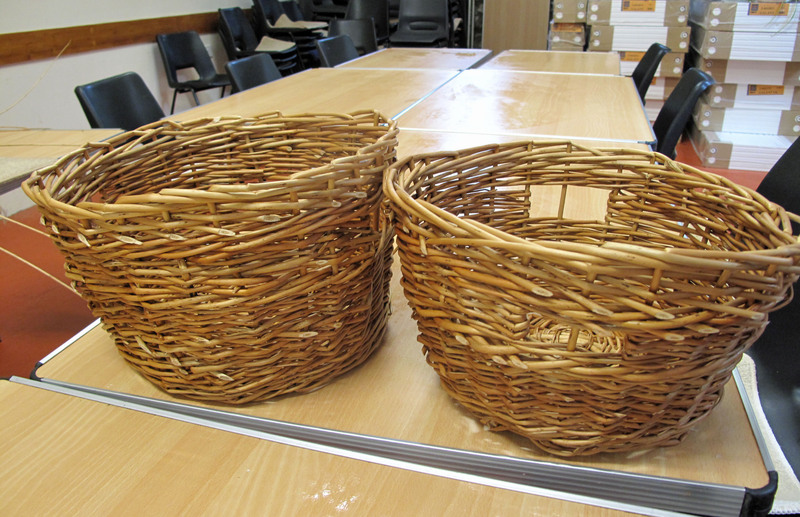 We hope to bring our baskets to the meeting on 15 October for everyone to look at! 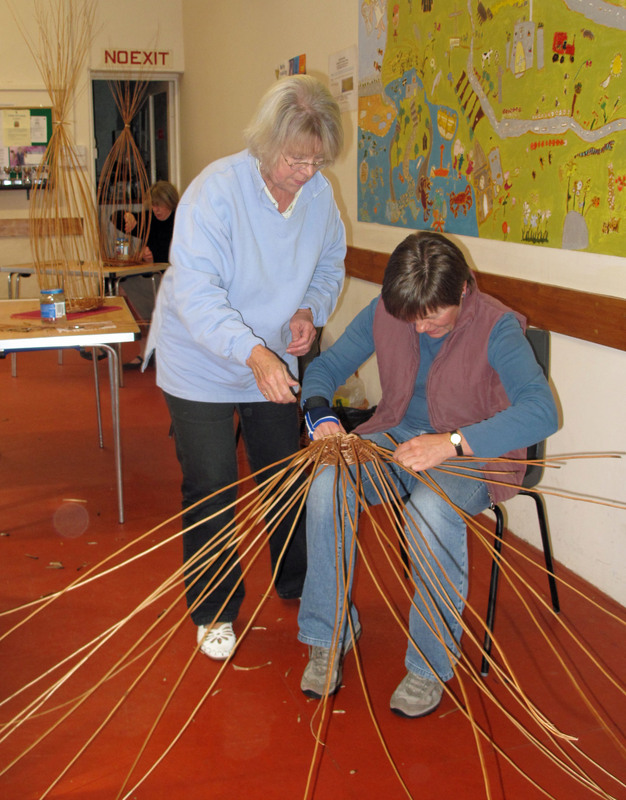 This entry was posted in Uncategorized and tagged craft, willow weaving, workshops. Bookmark the permalink.